When people is strange, their houses can be strange too. While i was driving, i slowed down my car abruptly…. 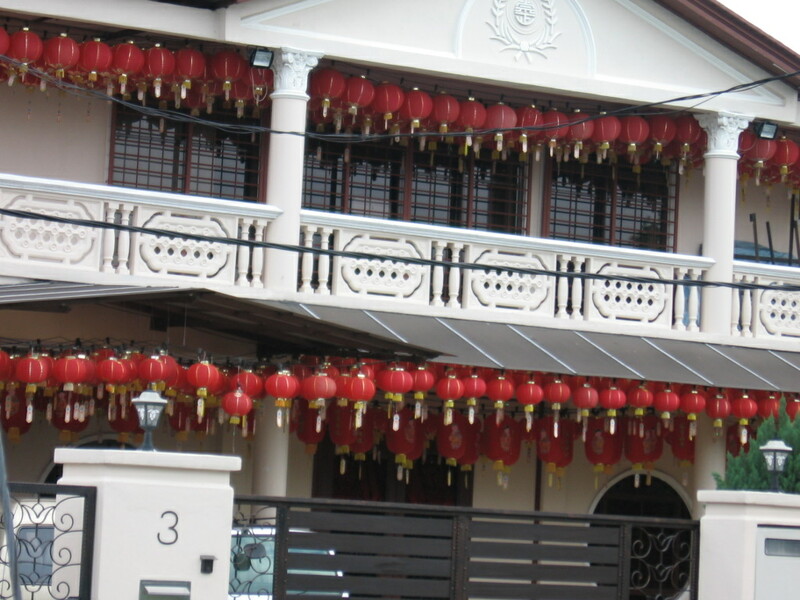 and took a close look at the double storey house located near the Jalan Klang Lama (Old Klang Road) – Kuala Lumpur. Something extraordinary I have never seen. SOOOOOO many lanterns!!!! I pondered, maybe this owner supplies lanterns? Or gotten these lanterns on very cheap sale! Or promotion buy 1 get 100!??? Never seen such thing... More lanterns than chinese temples. 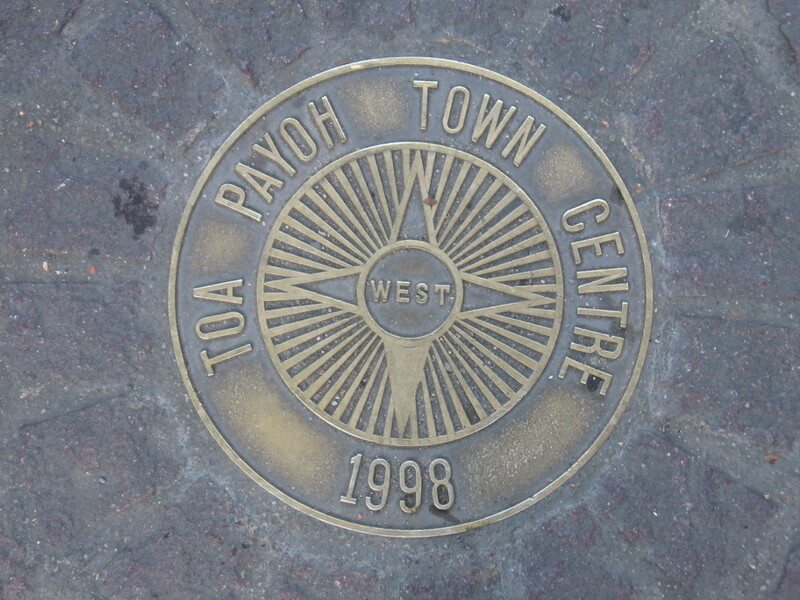 Close shot. 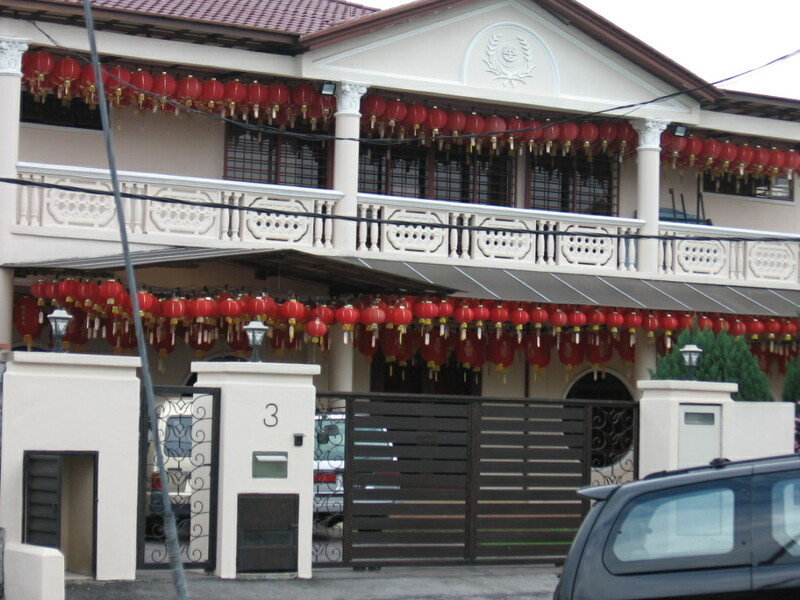 Let's guess how many lanterns. My guess... 300-400! 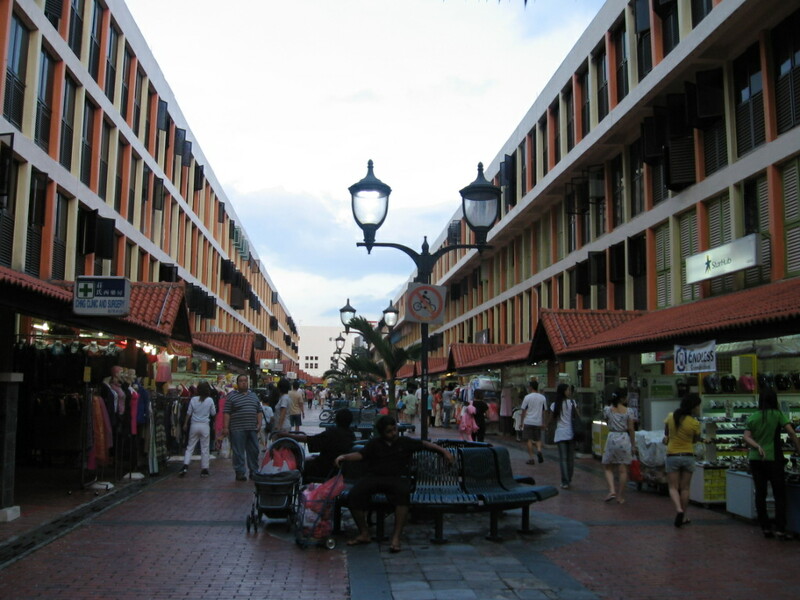 These shots were taken when I was in Kuala Lumpur during Chinese New Year. 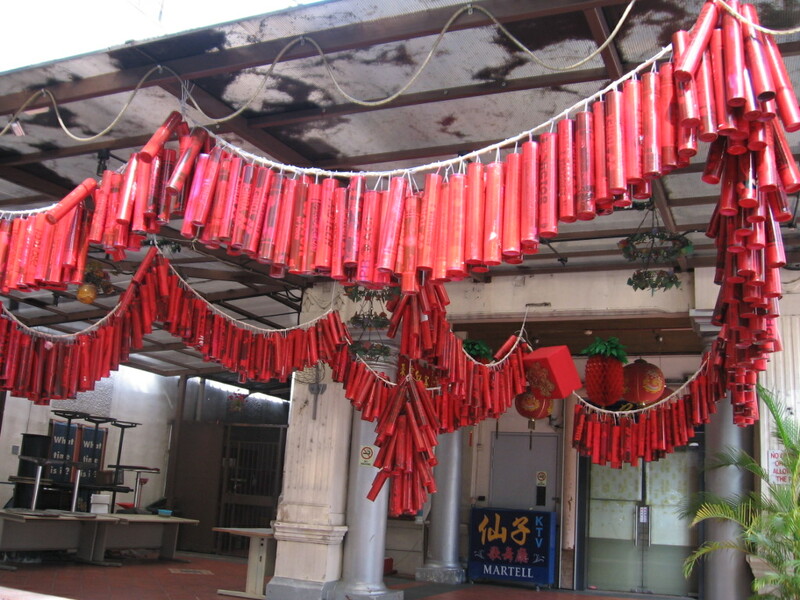 A KTV bar/pub called Cleopatra KTV (Bencoolen Street, Singapore)… has put lots of ‘heart’ to decorate their premises ‘nicely and uniquely’ for 2009 Chinese New Year. 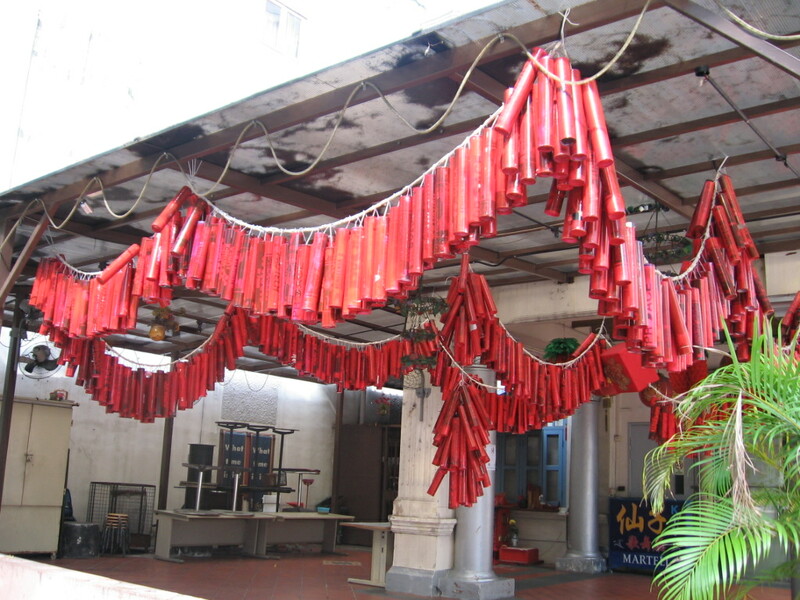 I’ve never seen so big red firecracker in my entire life…. So many shuttlecock containers... I afraid the roof one day may collapse.. haha. Do you think its nice? Hmm… people can be very creative and this owner is very creative that I don’t think its nice to see though. Kinda scary to me…and it also tells that this owner plays loads of badminton games.. hahaha…. 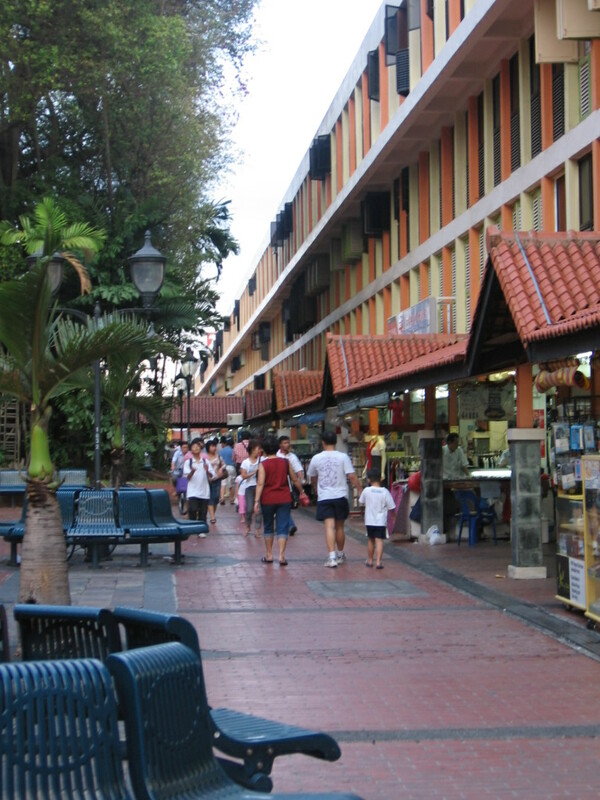 What I like about Tao Payoh is, the shops are close with each other… small and lots of things to see. 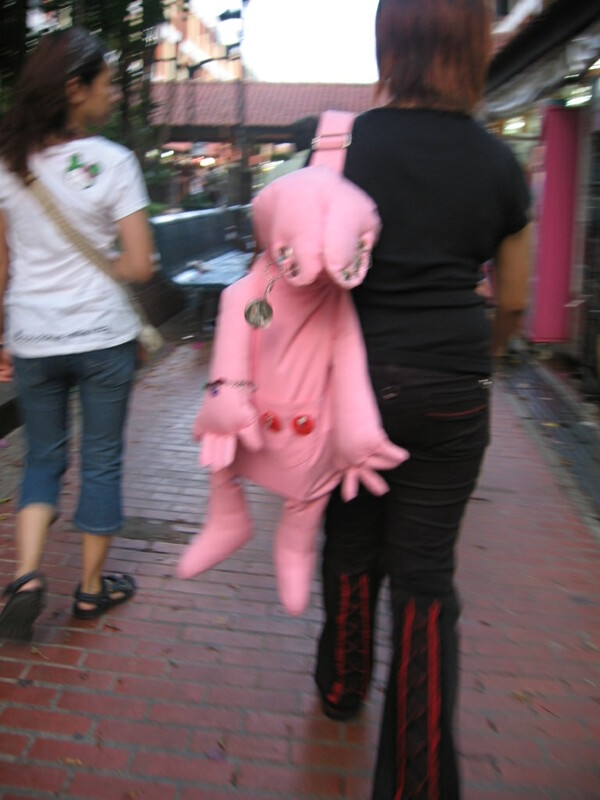 Pinky Toy Bag - I feel like punching this bag.. don't you have this feeling too? She better walk fast! While walking and taking shots here and there..Met this Pink Toy Bag… or should I called “punch bag”? The shot was little blur.. coz i was chasing to take this picture and trying to give “upper kick” at her bag!.. 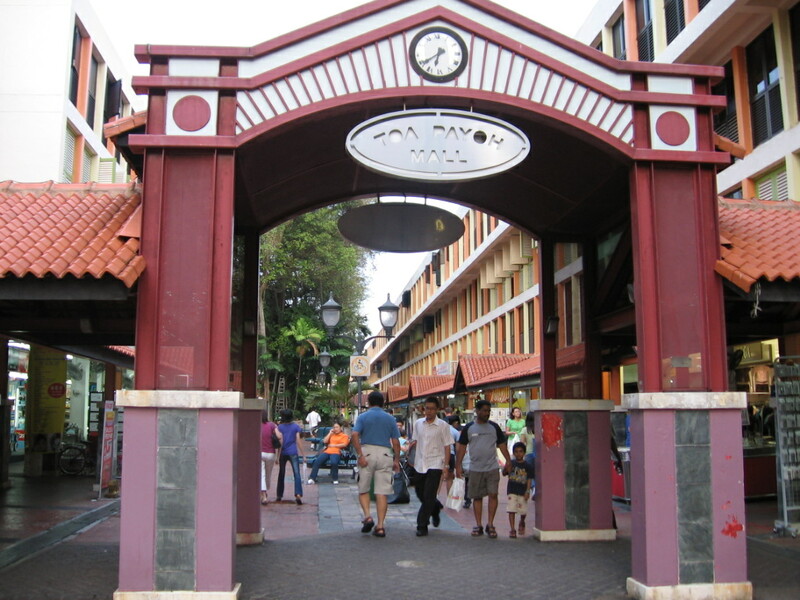 gegegegee…. AIYAK!!!! 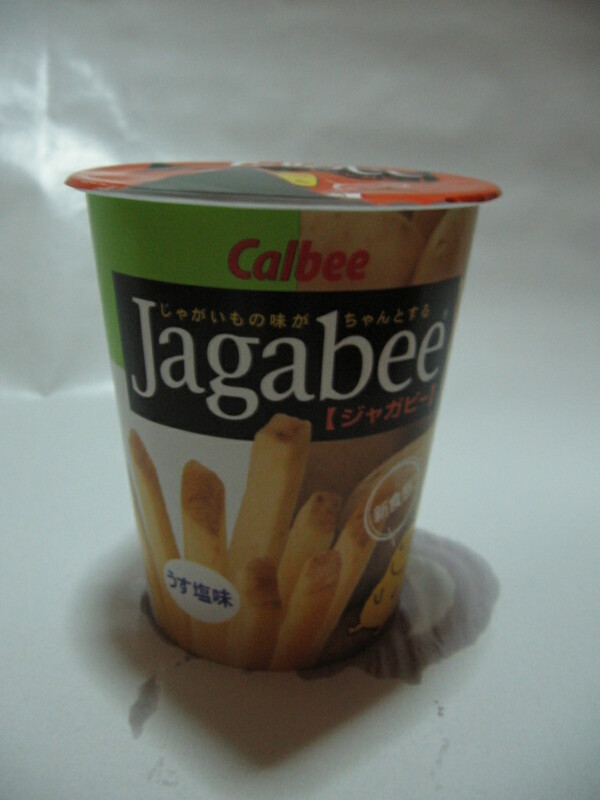 I wanted to write this about Jagabee… yummy and tasty. French fries made in Japan… I am not sure if this is available in Malaysia but it is widely available in Singapore. A product from Calbee. As i said, I like fattening food… a snack item that i like to eat while watching TV, or online…. Better than McDonald’s french fries. 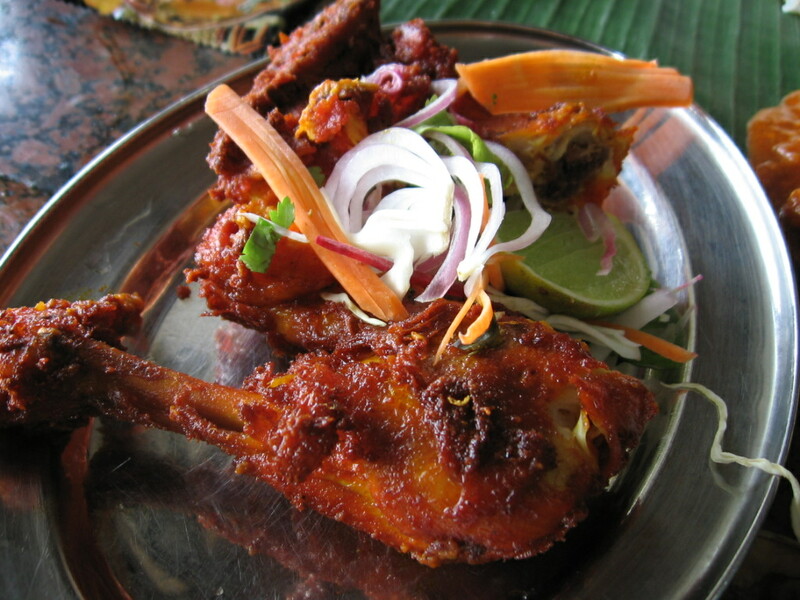 Once you start eating, you can’t stop…. Price is ‘not cheap’ for a small item like this.. Went to this Ayam Penyet Ria at Lucky Plaza. 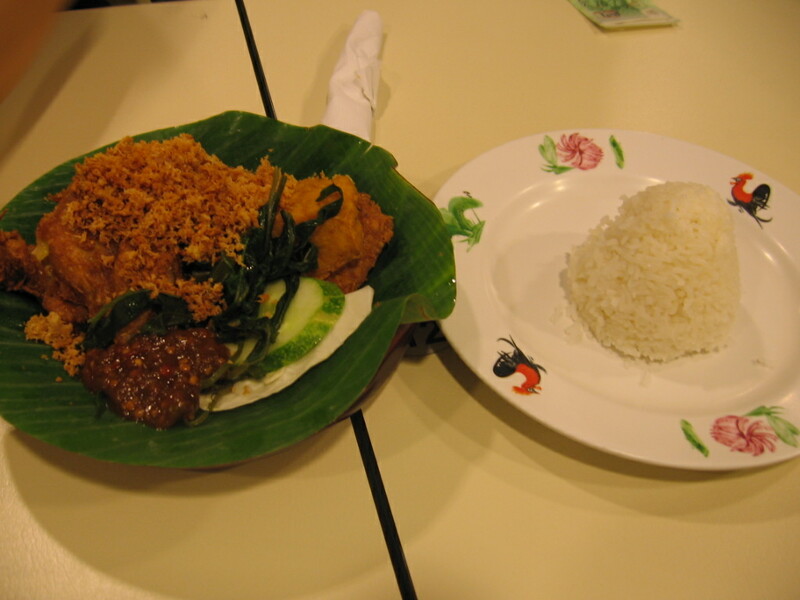 It is a type of Indonesian food. Always find a big crowd even though it is between the lunch and dinner time. 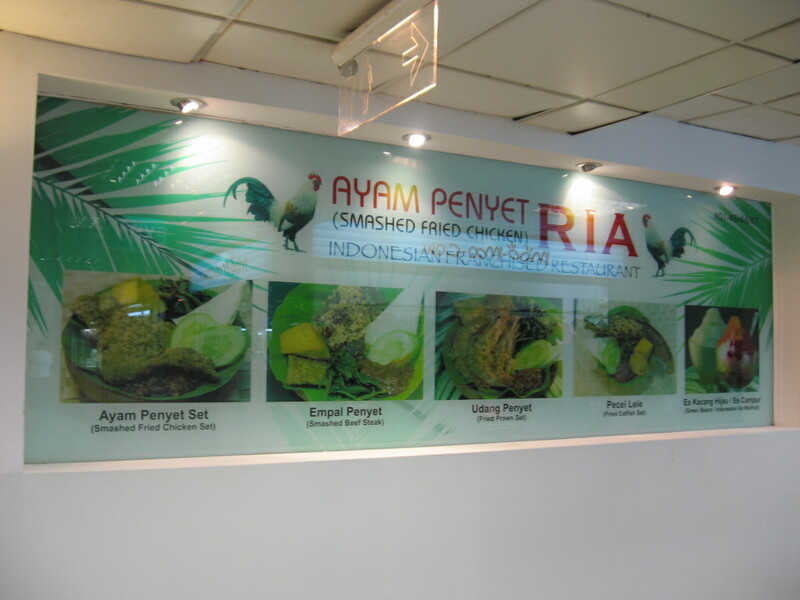 Sometimes when you are in a food court, you may find Indonesian food stalls sells Ayam Penyet too…. whether the Ayam Penyet sell at food court (kopitiam) taste good or not I am not too sure, but this Ayam Penyet specialised restaurant sure have many patrons! 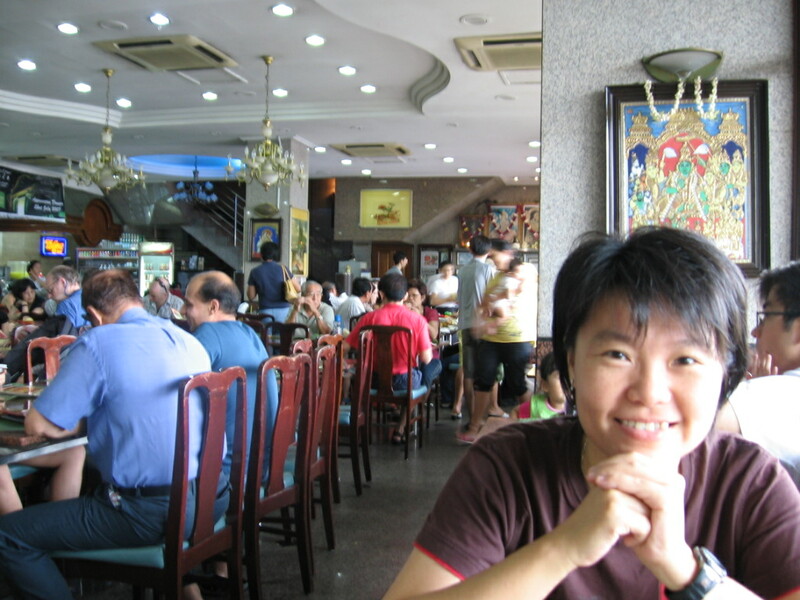 Actually, every restaurant in Singapore is crowded with patrons whether the food taste delicious or yuck…. 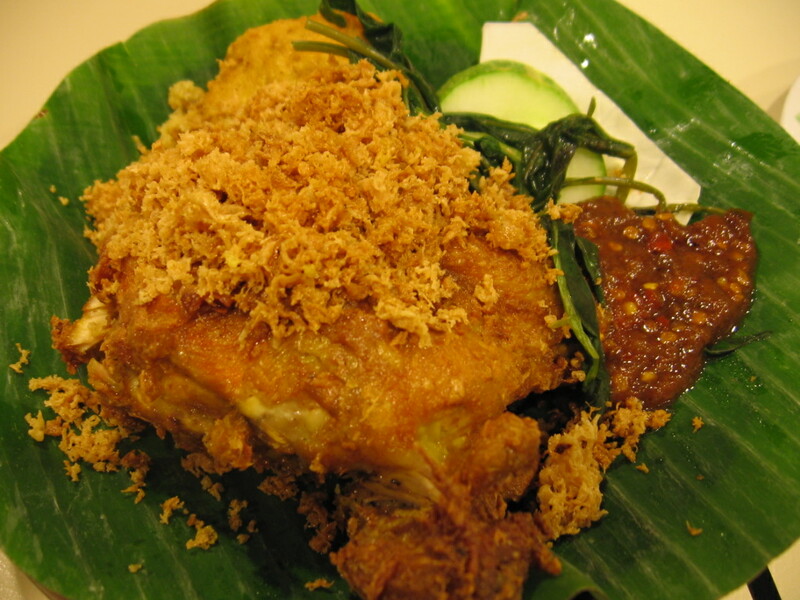 Well, the restaurant served other type of dishes… but this Ayam Penyet set is recommended dish…. The dish is worth to try, not expensive, just S$6.50 for the set. 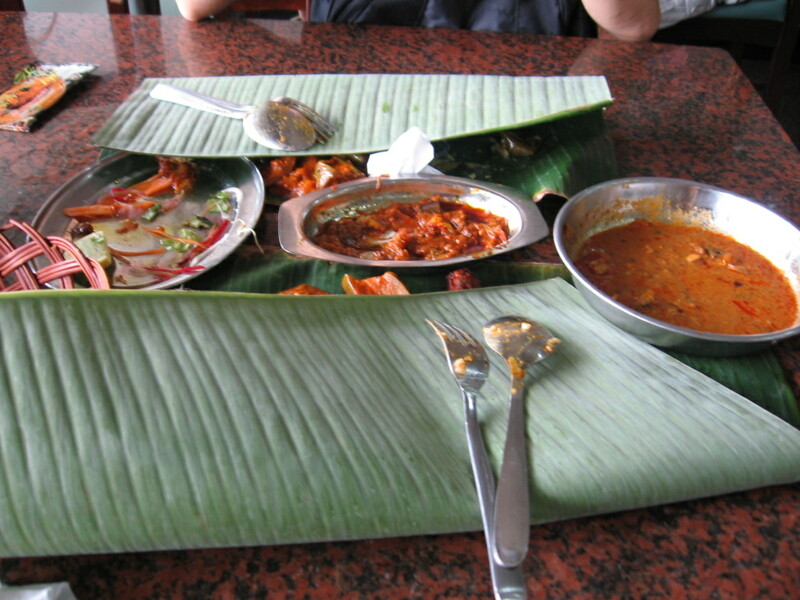 When check at Google search, keyword: “Banana Leaf Singapore”. 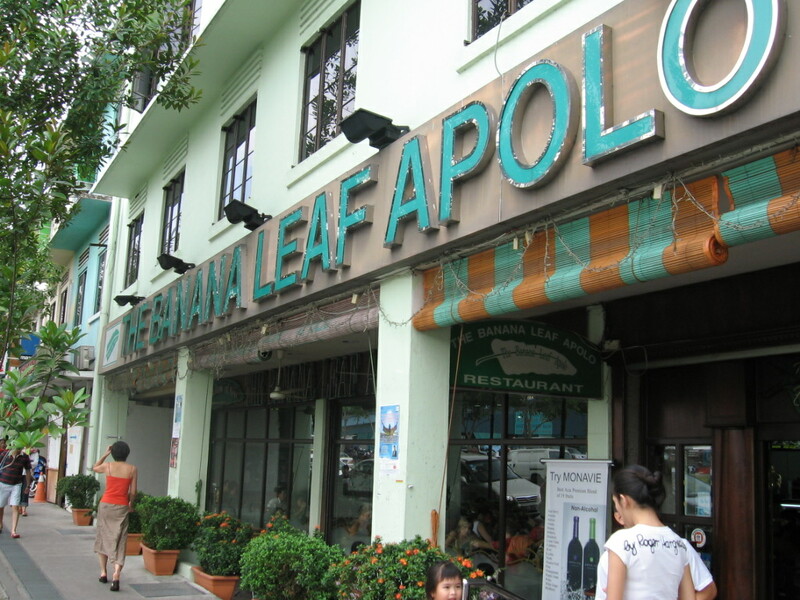 In the first page, you will find Banana Leaf Apolo…. Checked the website by clicking here. To make something different, I went there because of the 1st page shown in Google search. 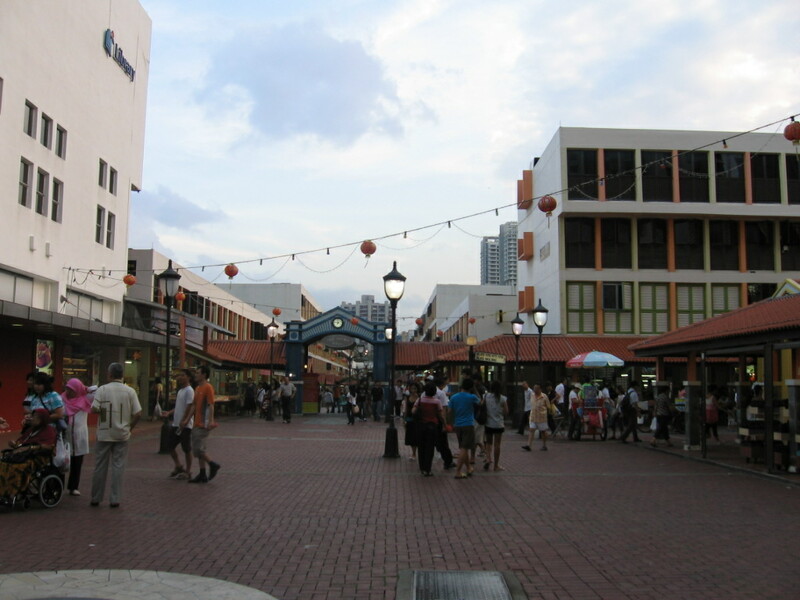 The restaurant is located at Race Course Road, near the Little India. 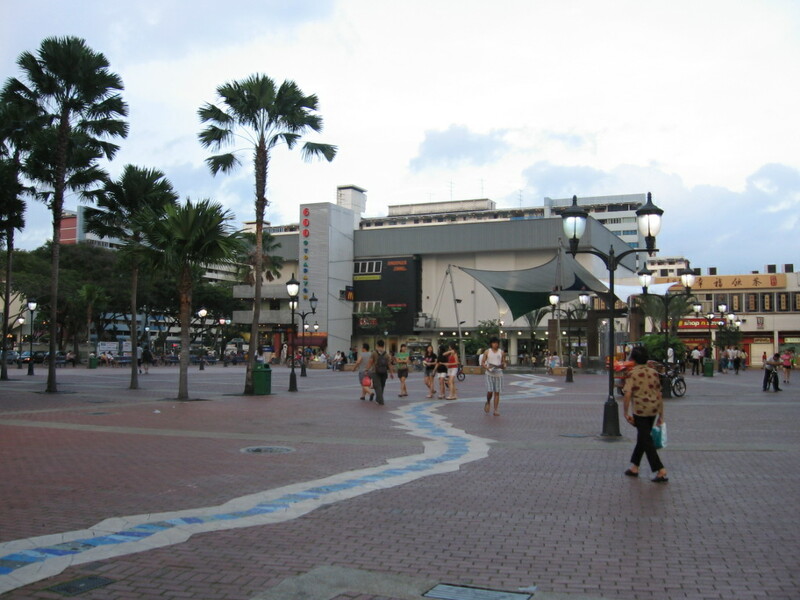 The environment is quite comfortable, with air condition. The food…… I would say just average. 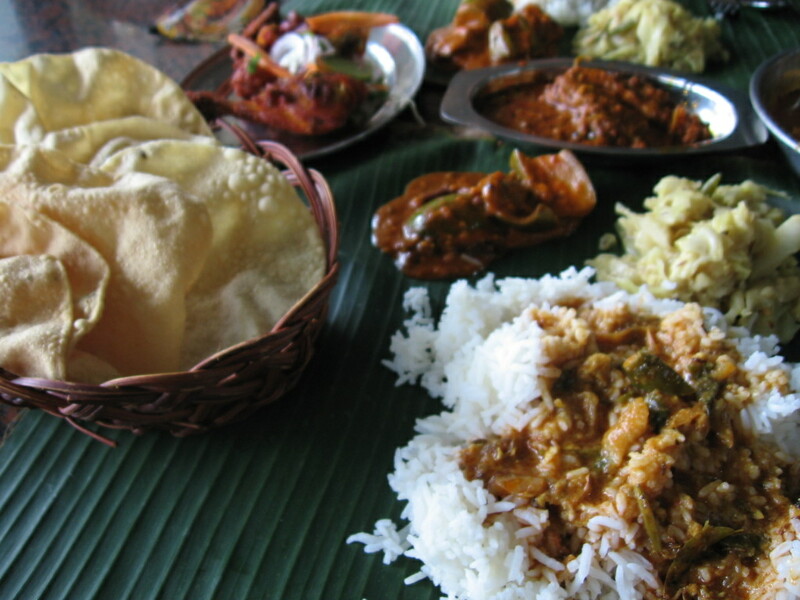 The main vegetable dish comes only two dishes, cabbage and somewhat dish that i dare not to touch. 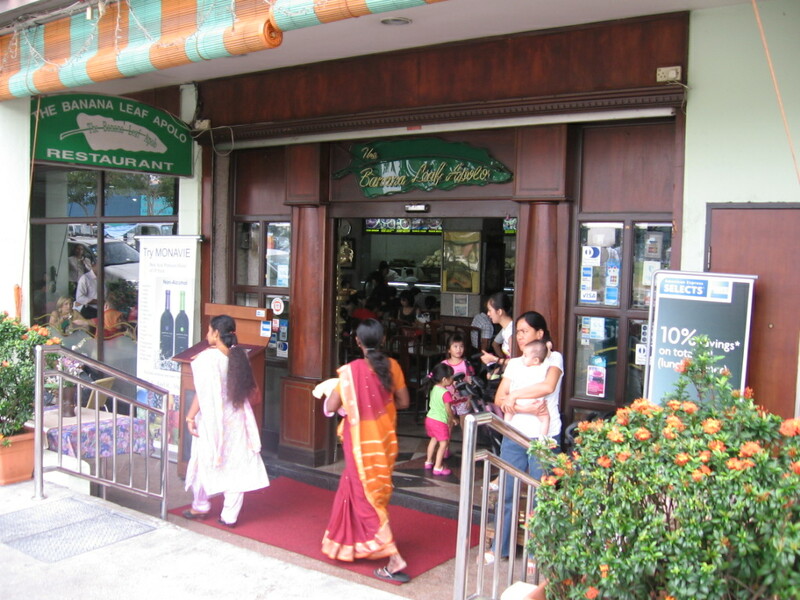 Whereas, the Sri Nirvana Maju I had in Bangsar Kuala Lumpur lots better…more vegetable dishes given with the rice. I ordered 1 plate of curry chicken, 1 plate of fried chicken and 1 plate of sambal fish. 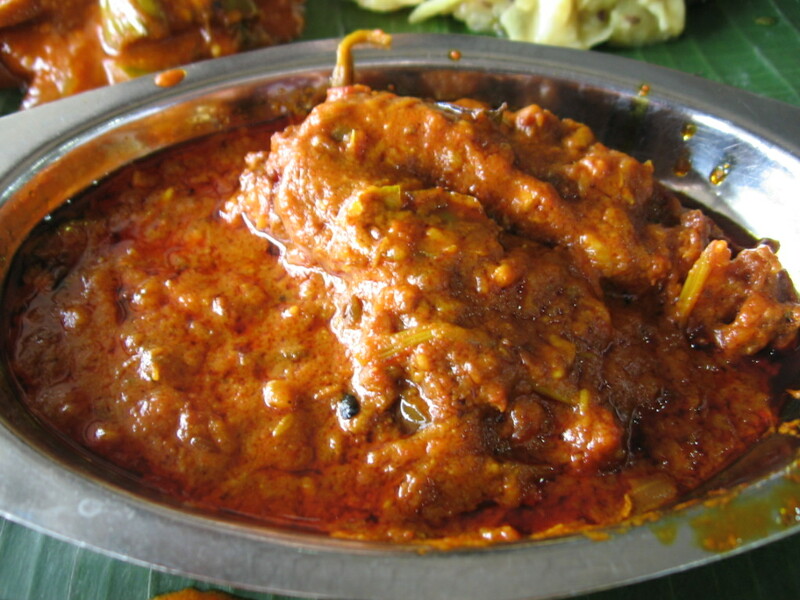 The chicken curry is watery (not thick) and sambal fish plate very little. Although the restaurant looks welcoming, was packed with patrons… but it seems the restaurant is not as great as I expected though. Me at the restaurant - see the crowd behind? 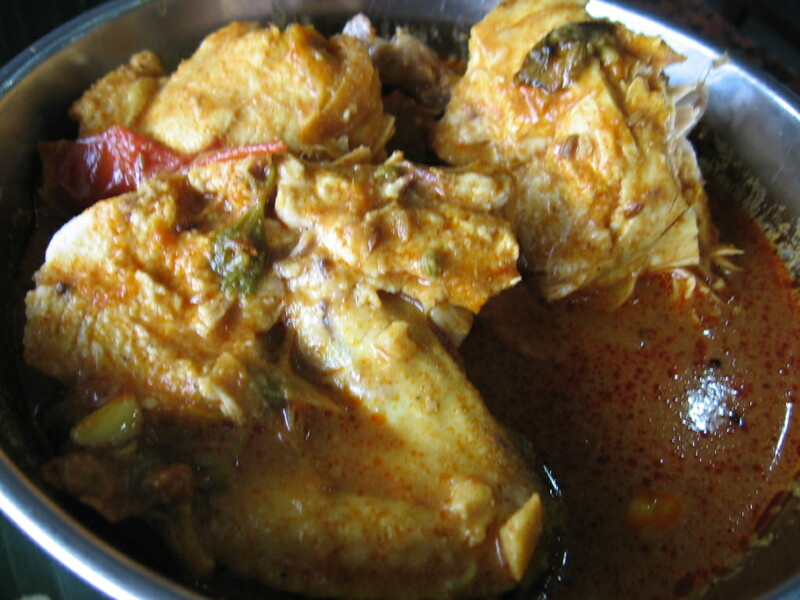 Curry Chicken - the gravy not thick!